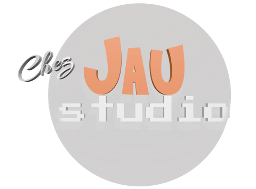 Our website address is: https://chezjau.studio. Data is send by e-mail and a copy is stored on the server for 365 days. They can be removed if requested by the sender. When / If you log in, we will also set up several cookies to save your login information and your screen display choices. Login cookies last for two days, and screen options cookies last for a year. If you select “Remember Me”, your login will persist for two weeks. If you log out of your account, the login cookies will be removed. If you are content published and edit or publish an article, an additional cookie will be saved in your browser. This cookie includes no personal data and simply indicates the post ID of the article you just edited. It expires after 1 day. The servers ? lol I don’t believe in a God who could see everywhere, so … no. Nobody on purpose, except if requested by the user. Messages send through our contact form are stored on the server but automatically deleted after 365 days. Of course, you can tell us to remove them immediately. Next, you can read our User Agreement terms.